Pictured (r-l): Dr. Helen Philon, Deccan Heritage Foundation; Prof. Tom Levy, CCAS in UC San Diego's Qualcomm Institute; Dr. Stephane Bloch Saloz, Deccan Heritage Foundation; and Alina Levy, CCAS. San Diego and Hyderabad, December 20, 2016 — An American archaeologist best known for decades of work in Jordan and Israel and as a co-founder of the Mediterranean Archaeology Network is now looking further east for potential new projects in the field of cyber-archaeology for the new Center for Cyber-Archaeology and Sustainability (CCAS) housed at UC San Diego’s Qualcomm Institute. Thomas E. Levy, a distinguished professor of Anthropology at the University of California San Diego, was in south-central India to tour 10 cultural heritage sites across five districts in the new Indian state of Telangana and its capital city, Hyderabad. The UC San Diego professor was invited by N.R. Visalatchy, Director of the state’s Department of Archaeology and Museums. Professor Levy met Mrs. Visalatchy in Greece earlier this summer, when she was a guest of Dr. Helen Philon, one of the founders of the Deccan Heritage Foundation, which works to preserve heritage sites in southern India. Impressed by the Cyber-Archaeology work-flow Levy and his team employed on an excavation near Delphi with the University of the Aegean, Visalatchy invited Levy and his wife Alina to visit the new Indian state of Telangana to see a sample of important archaeological and heritage sites. 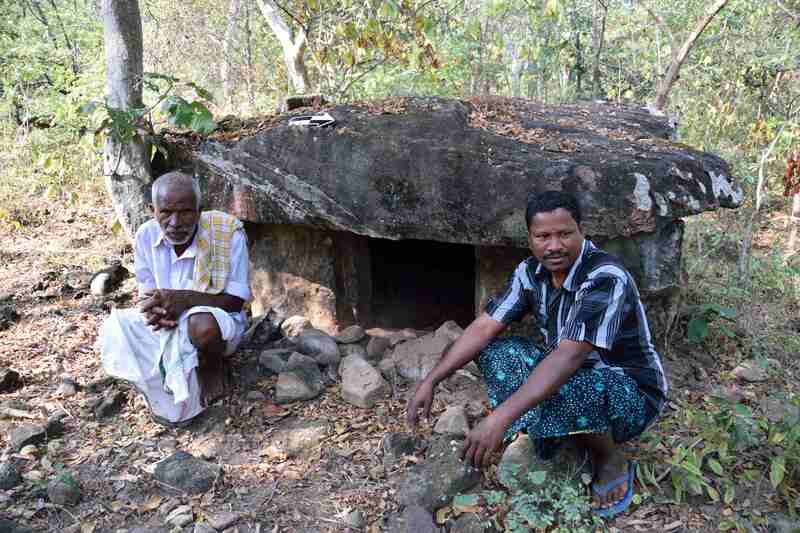 Local tribesmen from the Tavdai forest helped lead the CCAS and Department of Archaeology and Museum, Telangana team to some of the most impressive dolmen monuments. 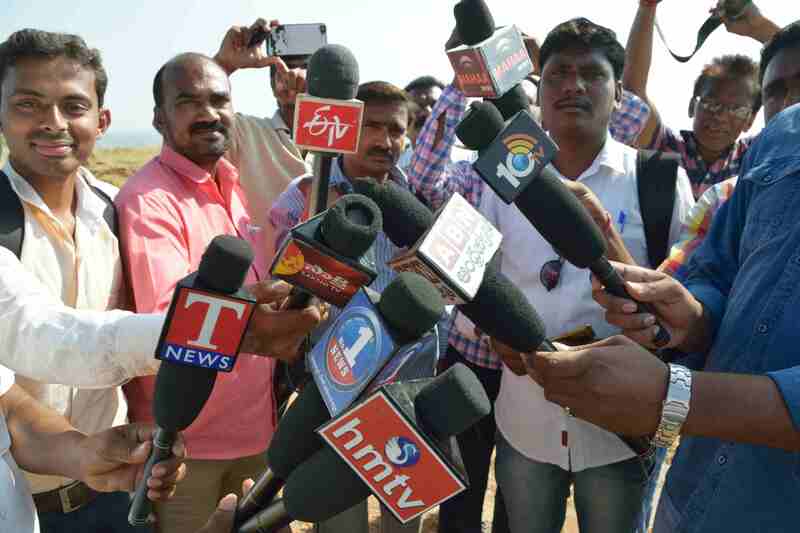 The print coverage included articles in English-language media such as the Deccan Chronicle and The Hindu, as well as local daily newspapers such as Sakshi in Telugu (the primary language in both Telangana and Andhra Pradesh, which borders Telangana to the south). Photo taken from Levy's perspective as radio and TV journalists greeted him at Phanigiri, an otherwise tranquil Buddhist temple site. Levy arrived in Hyderabad on December 13, and said he hoped the week-long tour would eventually lead to the signing of a Memorandum of Understanding (MoU) between CCAS and Telangana state officials to work jointly on digital preservation of monuments in the state using cyber-archaeology technologies. The sites visited by Levy and his wife Alina (who is also affiliated with CCAS and has participated in more than 20 archaeological expeditions as a logistics officer) included the Qutb Shahi Tombs (where rulers of the Qutb Shahi dynasty, circa 1518–1687, are buried). 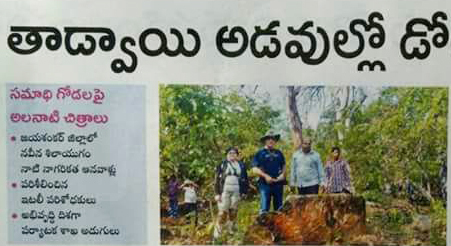 Nearby they also toured a megalithic burial site at Mudimala in Mahbubnagar (south of Hyderabad). The tombs include over 80 menhirs (standing stones), one of the largest concentrations of menhirs in a single location. Just a few of the 80 large standing stones (menhirs) at the Mudimala megalithic burial site in Mahbubnagar. 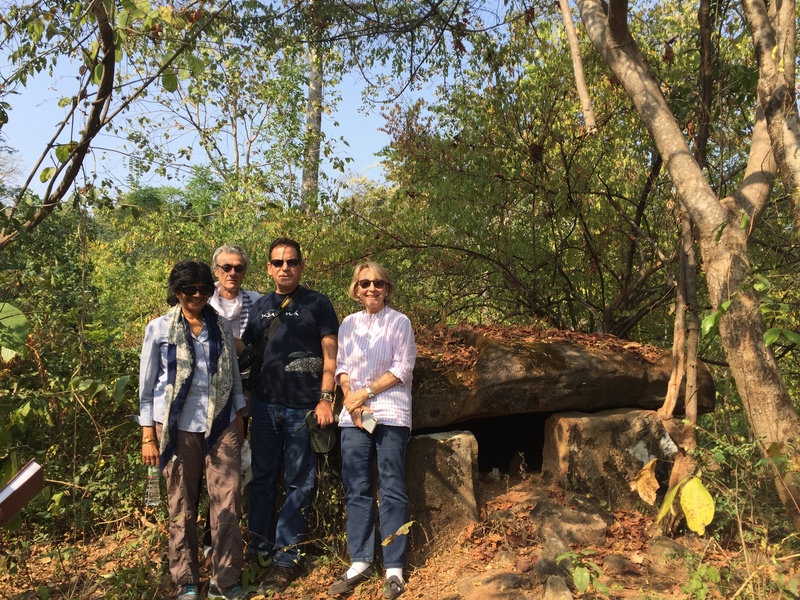 On Friday, December 16, the team also visited another megalithic burial site near the village of Dameravai in Tadvai forest. The site features a collection of 130 large dolmens estimated to be roughly 5,000 years old. (Each dolmen consists of a large flat stone laid on two or more upright stones.) According to Levy, it is “very rare” to find so many dolmens packed at one location. The UC San Diego group’s itinerary took them to the town of Warangal (northwest of Hyderabad) for two days. They visited temples at Hindu Ramappa and Ghanpur, as well as Warangal Fort, which dates back at least to the 12th century (when it was the capital of the Kakatiya dynasty).